I once again fell victim to the store’s featured display, grabbing the first two six packs I saw instead of spending any more time navigating the hundreds of other flavors I could’ve tried. This time I picked up a New Belgium’s Fat Tire, and also Heavy Melon, which Justin already reviewed and gave 4 stars. I personally found that one more watery than melony but maybe that’s because I’ve had a lot of IPA’s recently and returning to ‘regular’ beer is like switching from Evian to the Flint River. While the Heavy Melon did indeed have a melon taste (though watery, as I said), Fat Tire did indeed taste like a tire. Or, something else that isn’t so great. It’s an amber ale, 5.2% alc. New Belgium described it as “Toasty malt, gentle sweetness, flash of fresh hop bitterness. The malt and hops are perfectly balanced,” but whatever. 1 star. I have to disagree with Ben on this one. I am a huge fan of New Belgium beers and I am very fond of Fat Tire. I consider it an everyday beer but fuller and more hearty than your usual everyday beer. 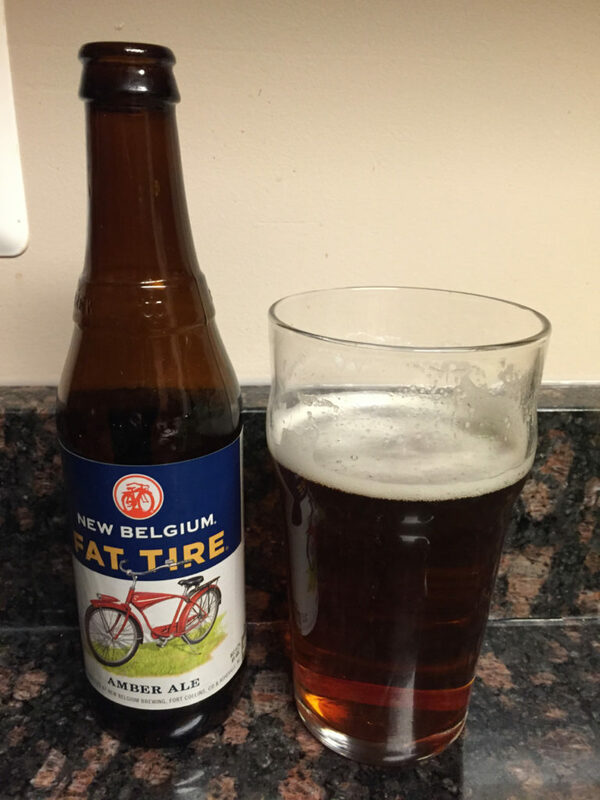 I give Fat Tire 2.5 stars.